We’ve finally made it into the top 5! Thanks for sticking with me – every year it seems like a mammoth undertaking but I seem to get there in the end. It may be 2015 but my favourite albums of 2014 are still making an impact and deserve their moment in the spotlight. Better late than never I say. If you’re late to the party, welcome and please enjoy the countdown so far – each of the preceding posts in this series can be accessed via the links at the bottom of this article, alongside the full lists from 2012 and 2013. A few months ago, I wrote a blog about the strength of the Australian heavy metal scene at the current time. I felt compelled to write about it, given the hugely positive impression the whole scene has had on me over the past couple of years in particular. To illustrate this point as eloquently as possible, this Album of the Year 2014 top 20 has no less than three bands from Australia but it could easily have had another two or three had circumstances been slightly different. Not a bad return, I think you’ll agree. 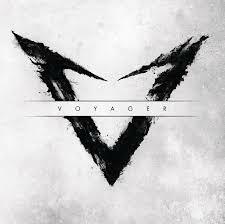 Voyager, a quintet based in Perth are my highest placed of the Antipodean bands and for several very good reasons. My review for Powerplay Magazine around its release earlier in the year was suitably gushing and this end of year review will be no different. 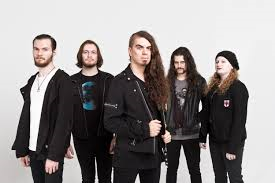 This is melodic metal with a progressive touch of the very highest order. In fact, alongside the also-mighty Vanishing Point, I firmly believe that this corner of the world has this particular market all sewn up. Before I deal with the music itself, there’s the production. If any bands out there want to know how to make a metal album sound, this is one of the records to use as a benchmark. In today’s world, it is easy to try to make your music sound as loud, abrasive or powerful as possible. The difficulty comes when trying to combine power with clarity and a richness of sound. ‘V’ has achieved this in my humble opinion and it sounds a million dollars. The bass is often the first instrument to get lost in the mix but here, that’s not an issue. The riffs are full of guts, the rhythm section is strong and snappy and the synth work neither swamps the compositions nor gets lost under the other instruments. Everything sounds exactly as it should do and as a result, the compositions are lent a vibrancy and clarity that only makes the entire listening experience that much more enjoyable. Others may of course disagree, such is the subjectivity of music, but I’d suggest that co-producer Matthew Templeman and the band take a bow. Onto the music itself and trust me, if you like music with hooks, melodies and plenty of unique quirkiness, prepare to love ‘V’. Whereas Voyager’s predecessor ‘The Meaning Of I’ was something of a slow-burner, ‘V’ was love at first listen. There’s not a weak track on the record and when it includes no less than 13 songs, that’s no mean feat at all. Every single composition has a hook or a chorus that I guarantee will get lodged in your brain for days, weeks even. It’s almost as if Voyager have harnessed the catchiness of pop music and assimilated into a body that’s pure heavy metal. You see, to their credit, Voyager don’t shy away from the word heavy. This may be melodic metal with catchy pop-esque choruses but there are still plenty of uncompromising rhythms thanks to bassist Alex Canion and drummer Ashley Doodkorte,not to mention plenty of scything-yet-engaging riffs and chops to die for courtesy of six string mistress Simone Dow and partner-in-crime Scott Kay. Oh and the guitar tone itself is to die for. Listen to some of the six-string work and when placed alongside the catchy elements, I defy you to not grim like a loon. Go on, I dare you. Add to this a subtle sprinkling of different elements of metal such as metalcore or melodic death metal and you can see why ‘V’ is so appealing to yours truly. The final important element to the Voyager sound is in the vocal department. Daniel Estrin is the chap behind the microphone and he’s nothing short of brilliant. I read somewhere that Deftones’ Chino Moreno likened Estrin to a modern day Simon LeBon from Duran Duran and I’d have to go along with that. Estrin certainly offers an impressive range and brings with it an originality thanks to his interesting phrasing and intonation. What might have been a standard chorus or verse is easily transformed into something much more complex and engaging. I could go on about this fantastic album. However, for the sake of brevity, I’ll close by simply stating that ‘V’ is a marvellous record and, if there’s any justice in this world, will be the vehicle to transform Voyager’s career. I only came across these guys a couple years ago, when they supported Orphaned Land on their Australian Tour. Brilliant live, and you’ve just got to love a band that can get you headbanging to a keytar!